International Adoption Net is excited to announce a new hosting program with our Mexico program! Our director recently returned from Mexico where she signed a contract with a specific Mexican State. This means that IAN now has specific children we can advocate for and place for adoption. IAN currently has photo-listed seven Mexican children ages 8-14 on Rainbow Kids who are available for hosting and adoption. Families interested in adopting a specific child can chose to host that child in the U.S. this winter during Holiday break! While the hosting program is not for the purpose of adoption, it does allow families to give the child the opportunity to visit America for a cultural exchange, while also giving the family and child the opportunity to learn if they are a good match for each other, or advocate for your host child's adoption in your community. In addition, because the first of the two required trips to Mexico is in order to meet and bond with the child, this first trip can be replaced by the hosting experience. While there is a fee for hosting the child, this fee is tax deductible and also saves the family the expense of traveling to Mexico for the first, generally longer, adoption trip. Hosting a child does not obligate you to adopt that child. This is a great opportunity to share your life with a child, and help them experience more of the world! Dates have not been locked in for this program, but we anticipate it to be a four week program mostly in December. 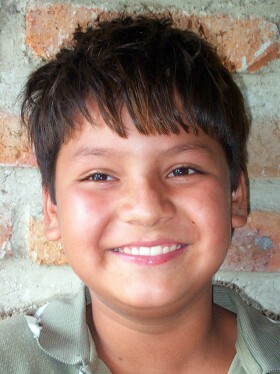 To learn more about adopting from Mexico or the hosting opportunity, please contact IAN today!